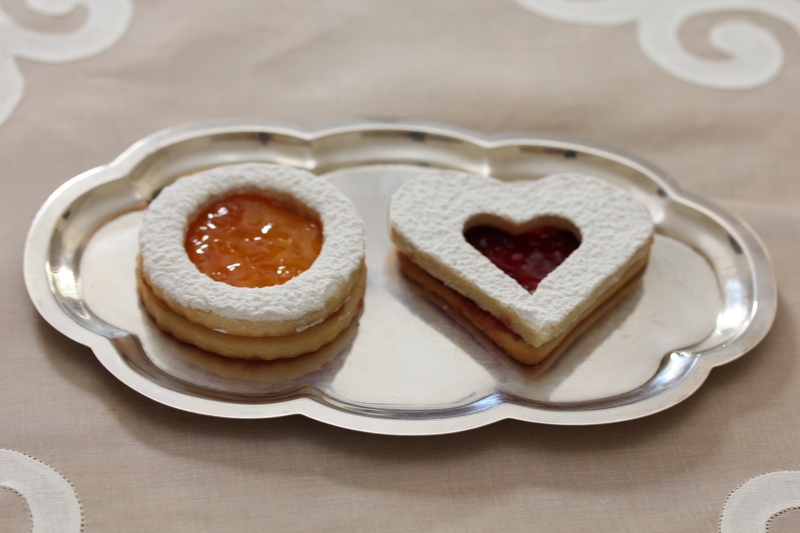 A jam heart is the kind of cookie you’d expect to find resting on a lace doily beside a steaming cup of tea. 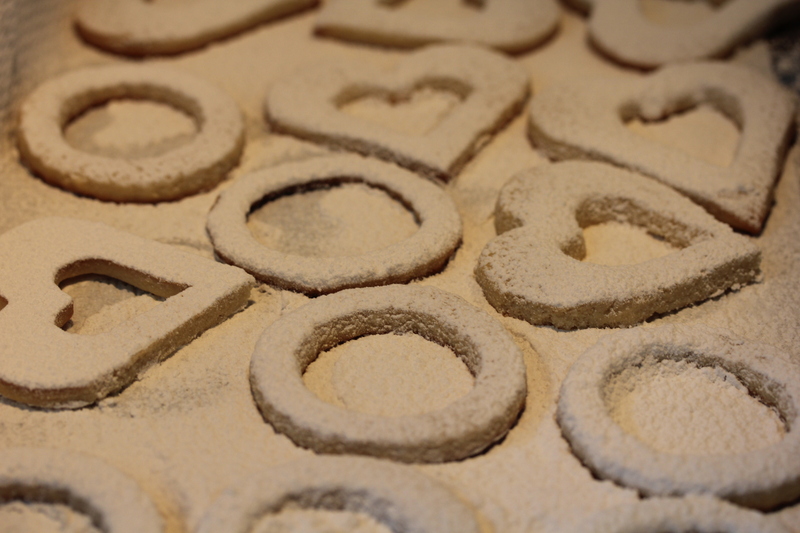 They look more complicated than they are: all you need are two sizes of the same-shaped cookie cutter, sugar cookie dough, raspberry jam, and powdered sugar. 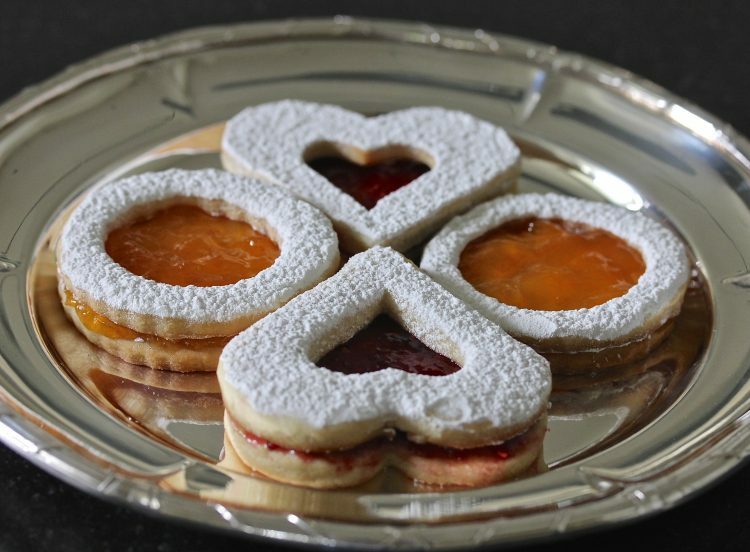 The original Linzer hearts have ground nuts in the dough, are rolled out very thinly, and look exquisitely perfect, but this heart recipe is the kind of cookie that you want to look homemade, to show you made an effort that comes from, well… the heart. When my girls were little, we used to stop by the Watergate Bakery now and again for a jam heart. (There’s no escaping history in Washington; even the bakery has a political pedigree.) They would giggle as they blew the powdered sugar topping at each other, and when they got a bit older, we started to make them ourselves. At first, we used Pillsbury sugar cookie dough, because it was more about the making of the cookie than the eating of the cookie. As the girls got older we made the dough from scratch to get a richer, butterier flavor. Of course, you don’t have to use raspberry jam – any favorite jam will work, and I made them in apricot and raspberry for today’s post. 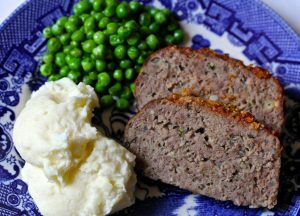 This recipe is adapted from the Better Homes and Gardens Cookbook. In a large mixing bowl, mix together butter, sugar, baking soda, cream of tartar and salt. Beat until well combined. 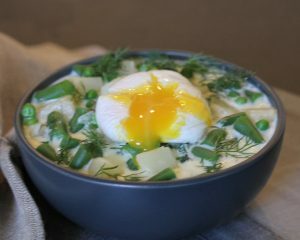 Beat in egg yolks and vanilla. Beat in as much flour as you can, then stir in the rest. Dough will become thick and hard to beat with a mixer as you are adding in the last of the flour. Wrap cookie dough in plastic wrap and chill in refrigerator for an hour before rolling out dough. When dough has been chilled, roll dough out into ¼ inch thickness. Using the larger cookie cutter, cut out 6 cookies and place on baking sheet, using a silicon baking pad. I like to make them in batches of six, to make sure I have enough dough to match the tops and the bottoms together. Cut out six more cookies with the large cookie cutter, then, using the smaller cookie cutter, cut out the middle of the cookie, creating a rim-shaped cookie to put on top of the larger cookie when the jam is added and the two cookies are assembled. Bake for 12-15 minutes at 300 degrees. Do not let cookies turn brown. Remove cookies from baking sheet and allow to cool. Spread jam on the large, whole cookie, being careful not to get the jam on the sides of the cookie. Set aside. 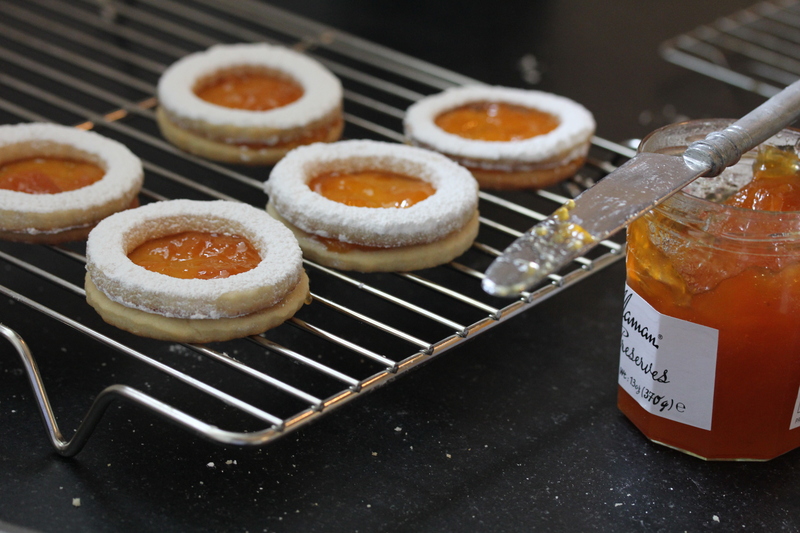 Sprinkle cookie “rims” with powdered sugar, then carefully place powdered cookie on top of jam-covered cookie. Serve.